I like that P&H 250XP drill and the XPC the best! I hope TWH does them, especially one of P&H's blast drill's. That's one machine that there's not enough models of. 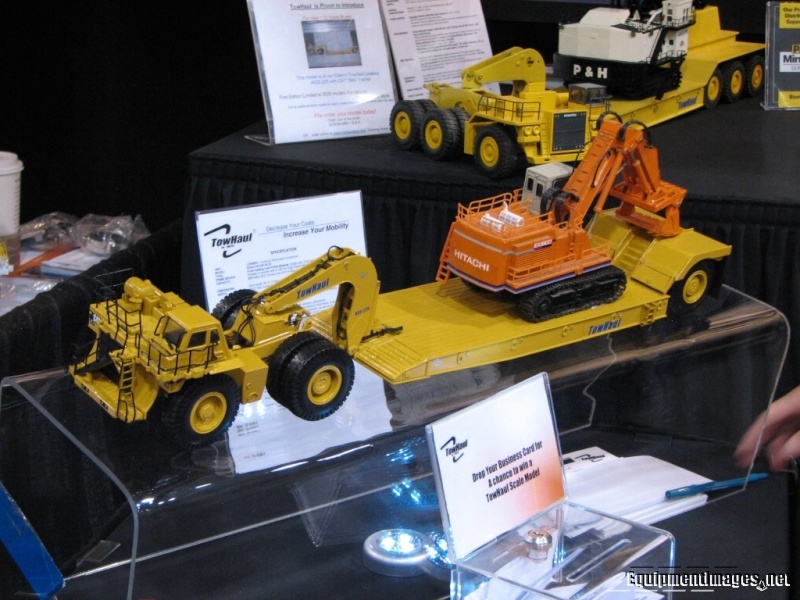 Looks like these are from the new Sandvik model line in 1/50th scale. The new Conrad blasthole drill can be seen in the back, and there's a box for the loader behind the display case. Sandvik had all three models for sale at the show, but in limited numbers...about 10 to 12 of each. The prices on them were a bit high, but the models are pretty nice. The LHD sold for $132.00, the crawler drill sold for $141.00, and the drill jumbo sold for $262.00. They will all be released for sale to the public soon, but I'm not sure of the exact dates. Great pics thanks for sharing! Can anyone tell me a little more about what that 1/87? P&H is loading? Wow, thanks for posting these photos, Shovelman! 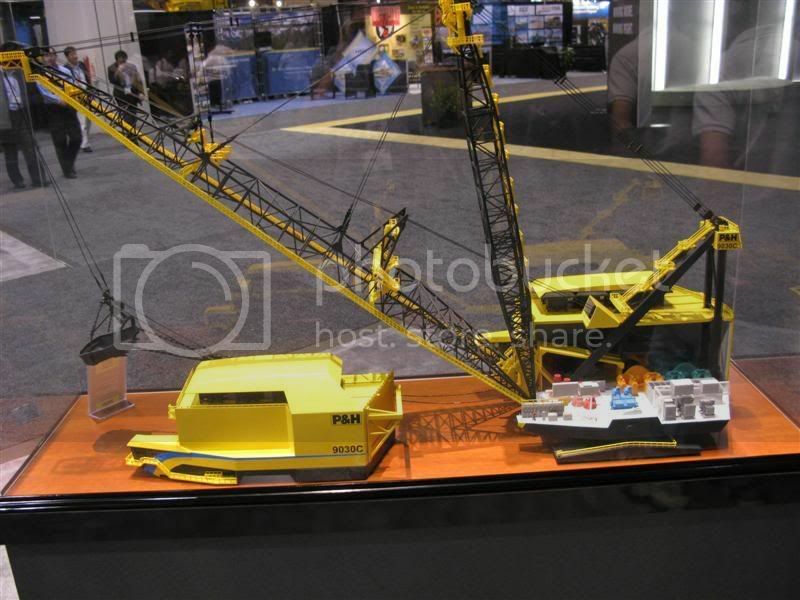 Do you have any more of the P&H 9030C dragline? It's interesting to see that their new XPC design aesthetic isn't limited to just the shovel. Anyone else think the PitViper packaging looks like Norscot style?! who has made that Pit Viper model? 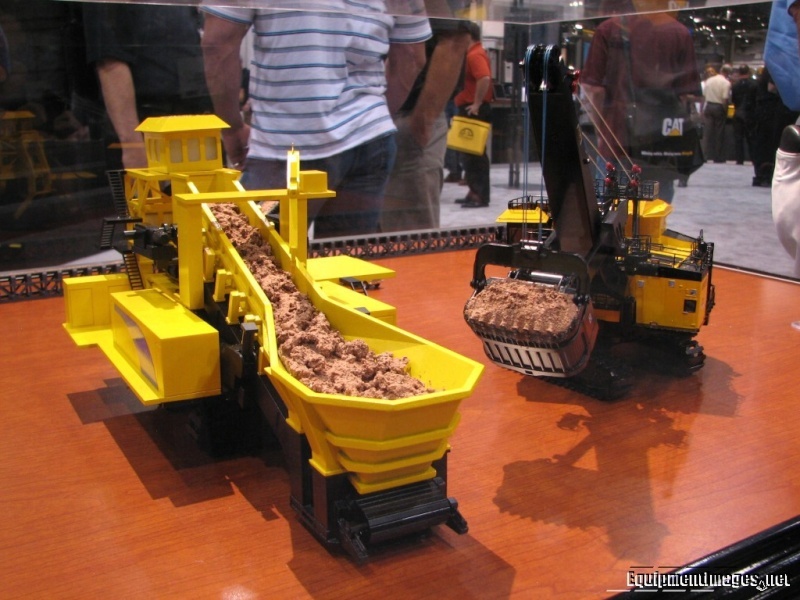 -The 3 Sandvik models are super ,Conrad has done a great job. -I was told the #4 model will be much larger and cost more. With regard to the Sandvik crawler drill, I think it's out already. The detail is great close up. I've got one. the pit viper is a definate buy for me when it comes out. Thanks for the photos, Todd. 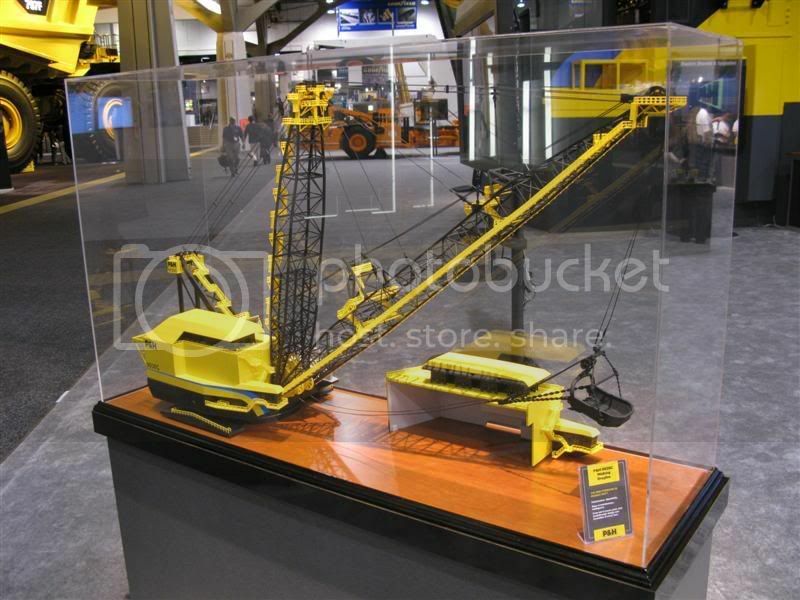 Is the bucket on the 9030C model the scoop-style that CQMS manufactures? 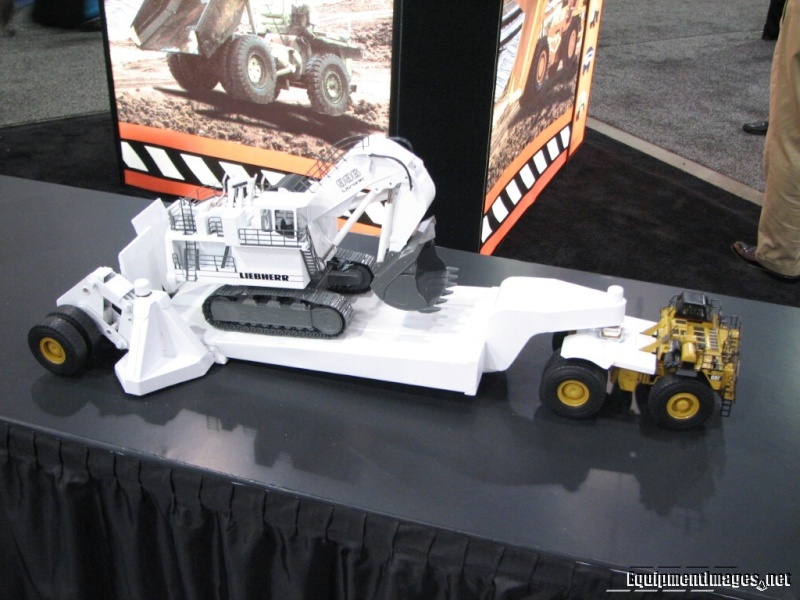 Was the 8750 model at the show the Configuration C version of the model? Do you know which version will be made in the first production run of the model?